Our Stain Wizard’s extra-strength formula with natural bio-enzymes and brush-top applicator remove fabric stains like magic. 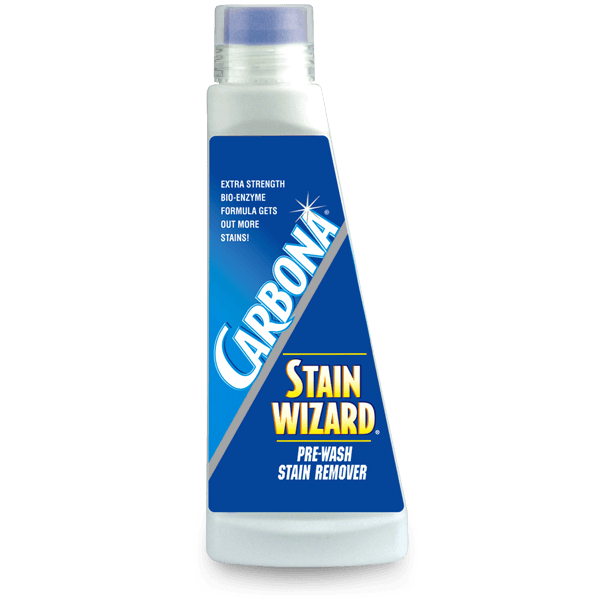 Can you leave Carbona® Stain Wizard® on the stain longer than 10 minutes? This is not recommended. However, you may rinse the area after 10 minutes and repeat the process. 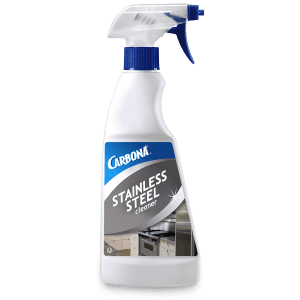 Will Carbona® Stain Wizard® harm the colors in fabrics? As with any stain remover, you should always test a hidden area for colorfastness before using. 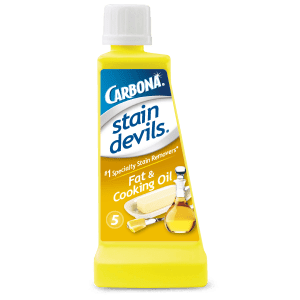 For stubborn stains we recommend using our Stain Devils™ consisting of 9 stain-specific formulas developed to remove specific stain types. This is the greatest thing! 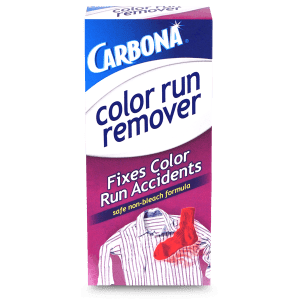 I have never come across a stain remover that works so great. I have not had a stain that it does not remove. Thank you. Stain Wizard is the best product on the market for removing stains! Wizard is the best stain remover I have ever used. There hasn’t been a stain I haven’t been able to get rid of. I reccomend it to all of my friends. I had several items of clothes that I got stains on. One was oil and one food, the other I was not sure what it was but it looked like auto grease. Nothing worked. I tried the stain removers, several as a matter of fact and the stains remained. 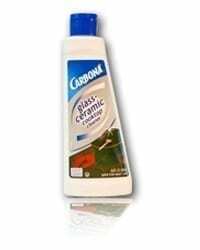 Then I tried the Carbona stain remover. It worked on all the stains and it saved me from replacing the items in my wardrobe! If I could give this product a higher number than 5, I would. 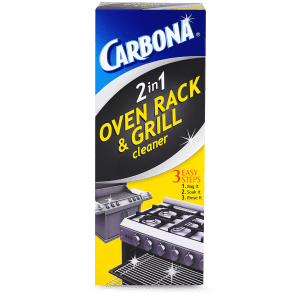 This product is the very best I have ever used. It sure gets the stains out. 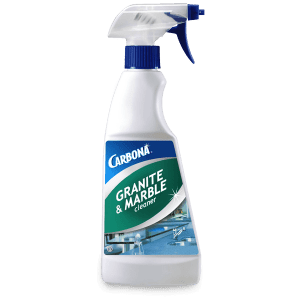 I ordered 2, gave a partial bottle to a friend, who was fighting a nasty stain on a new blouse and greedily kept the other for myself. Now, I am ordering more. I do not want to run out of this product. Please, please, please, don’t ever change the formula. It works miracles and if it aint broke, don’t fix it!!! 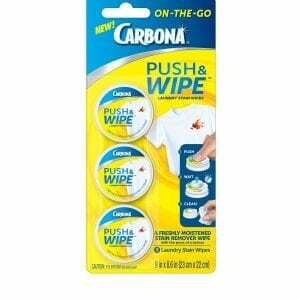 Thanks, Carbona, for saving many articles of clothing. If I could give it 10 stars I would. I am extremely happy I can order this through your website. I cannot find it any more at my favorite fabric store. It never ceases to amaze me as to what it gets out. I mostly use it for getting out oily spots in my husbands shirts…ok, mine too. I was getting ready to ration my last little bit when I decided to go to the sourse… I will be ordering multiple bottles as my D-I-L has twins and they are…well, need I say more?? One bottle will def be going to her. Please keep making this and even put it back into stores. Thank You!! 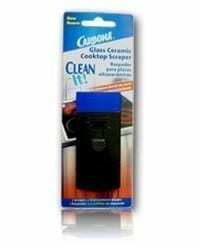 Stain Wizard is the reason I still fry foods, as it gets out all the grease spots out of my clothes! Two of my children get very frequent bloody noses, and often times at night, so you have saved countless clothes, sheets, blankets, even white stuffed animals! Thank you so much!! Please make this product available in more locations. Please advertise your miracle product everywhere!! Mamas need you!! Thank you! Thank you! Thank you!!! !